Divvy bikes in Evanston. City Council recently barely passed a measure approving the purchase of three new Divvy bike stations. With a rare tie-breaking vote from the mayor, City Council earlier this month barely passed a measure approving the purchase of three new Divvy bike stations in Evanston. The council voted 5-4 — with Mayor Steve Hagerty stepping in due to Ald. Ann Rainey’s (8th) absence — to use funds already set aside for the Divvy program to purchase three stations from Oak Park, which ended its program in January, according to city documents. Alds. Peter Braithwaite (2nd), Judy Fiske (1st), Cicely Fleming (9th) and Donald Wilson (4th) voted against the purchase. Wilson said at the meeting that the program costs too much and uses “old technology.” Fiske cited the 2019 budget deficit as part of the reason for her vote, saying the city has already had some “hard decisions” to make in terms of cuts. The total cost of the three new stations is around $34,000, a discounted price from the usual cost of one station, $55,000, according to city documents. “I’m really troubled — in the time that we’re talking about the budget — spending money, any more money on Divvy,” Fiske said. Aldermen separately voted to approve two other Divvy proposals during the same meeting: a 36-month extension of the Divvy program and an agreement with the city of Chicago. 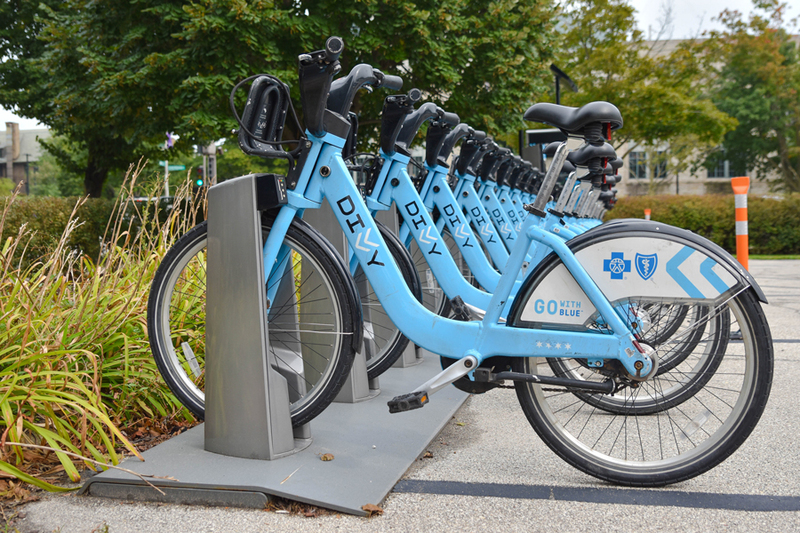 Beginning in 2019, the agreement will bring revenue to Evanston through a contract Blue Cross Blue Shield has with Chicago that allows the company to advertise on all Divvy bikes, including ones in Evanston. Fiske was the only alderman who voted against both measures. Ald. Eleanor Revelle (7th) told The Daily she is a strong supporter of Divvy. Although residents ranked Divvy high on the list of programs they were comfortable reducing funding for in a priority-based budget survey, Revelle said people didn’t know the Divvy bikes would eventually increase revenue, thanks to the agreement with Chicago. And, she said, the bikes offer an alternative, environmentally friendly way to get around the city. Revelle added that some residents use the bikes to get to train stations. She said the three additional Divvy stations can supplement the Divvy for Everyone program, which was approved last spring and allows income-eligible residents who are 16 years old or older to buy a one-time Divvy annual membership for just $5. The membership usually costs $99.